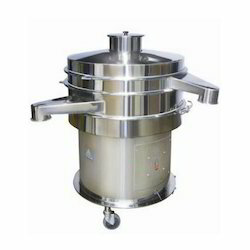 We are a most trusted name among the topmost companies in this business, involved in offering Powder Packaging Machine. This is extensively used for the packaging of various product lines chemical powders, curry, detergent powder. It has the improved functionality with filling, weighing & sealing the pouches or bags. It is available in various capacities according to the need and application. Like powder pouch filling machine, bag filling machine for mass production. 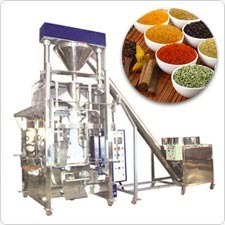 Grace Food Processing & Packaging Industries, Noida are renowned as a leading supplier of automatic spice packing machine. Chilli Powder Packing Machine, Masala Powder Packing Machine, Milk Powder Packing Machine is a special machine designed incorporating best quality packaging. Specifications Powder Packing Machine to pack product Masala, Spices Powder Packaging, using Servo Auger Filler with high performance filling and Selaing Machine. Suitable range: dosing of Powder products like, Chemicals, Spices powder, Medicines, Food Items, Milk Powder etc. Automatic length control through Electronic Photocell Panel through Eye mark Sensor. Speed 40-60 Packs Per Minute. (Dry Run) based on pouch size. Max Weight: 1000 Grams (Per Single Dump). Modular design allows quick and easy change over of decks. Optional dust cover to prevent dusting of surrounding. Range : 24" Diameter to 72" diameter. Multi Deck construction (Maximum upto seven decks). Decks made out of MS Powder coated / SS 304 / SS 316. Screen cloth : SS 304 / SS 316 / Nylon. Uniformly tensioned screens ensure maximum screening efficiency. Variable output by simple adjustment of unbalanced weights mounted on motor shaft. No transmission of vibrations to floor as deck assembly is mounted on base frame by rugged springs. Can be adapted to meet factory layout needs as no foundation is required. The material to be screened is fed into the top deck of the vibrating screen. The material passes through the screen wire mesh. Oversize particles remain on the top of the screen cloth. These particles move towards the periphery of the screen due to the vibrations imparted by unbalanced vibrating motor and flow out through the discharge spouts. The material which has passed through the screen cloth falls on the top of bottom deck. This material also moves towards periphery and flows out through the discharge spout. The material movement towards periphery can be controlled precisely by adjusting the angle between the top eccentric weight and bottom eccentric weight as the adjustment of angle leads to different flow patterns. Grace Food Processing & Packaging Industries Since commencement, our company has set benchmark in offering Spices Packaging Machines. These are made by using high quality raw materials and widely acclaimed for their optimum performance and easy usage. Coming with automatic operation support, these spices powder packing machines feature use of quality tested parts and components so as to assure of reliable and consistent work performance. Some of its features include:. Fully Automatic Vertical Form Fill & Seal Machine is suitable to pack powder such as Flour, Maida, Milk Powder, Spice Powder, Gram Flour, Pesticides & Fertilizers Powder etc. upto 10 Kgs. Grace Food Processing & Packaging Machinert holds immense experience in this domain and is involved in offering wide assortment of Wheat Flour Packaging Machines. These machines are specifically engineered by our competent professionals with the assist of sophisticated machines and modern tools. In adherence set with industry norms, offered machines are widely used at various industries for packing flour. Apart from this, material which is used for developing these machines is of top-notch quality. Grace Food Processing & Packaging Machinery holds immense experience in this domain and is involved in offering wide assortment of Wheat Flour Packaging Machines. These machines are specifically engineered by our competent professionals with the assist of sophisticated machines and modern tools. In adherence set with industry norms, offered machines are widely used at various industries for packing flour. Apart from this, material which is used for developing these machines is of top-notch quality. 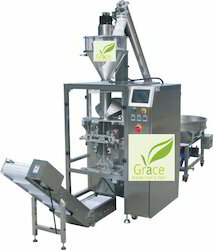 Grace Food Processing & Packaging Industries holds immense experience in this domain and is involved in offering wide assortment of Wheat Flour Packaging Machines. These machines are specifically engineered by our competent professionals with the assist of sophisticated machines and modern tools. 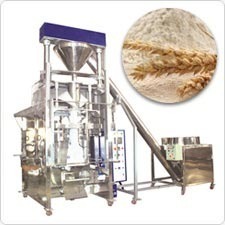 In adherence set with industry norms, offered machines are widely used at various industries for packing flour. Apart from this, material which is used for developing these machines is of top-notch quality.